Wallpaper finer is small easy to use utility which adjust (crop) your images perfectly to fit your desktop, and immediately set as wallpaper according to your instructions. What does it mean? 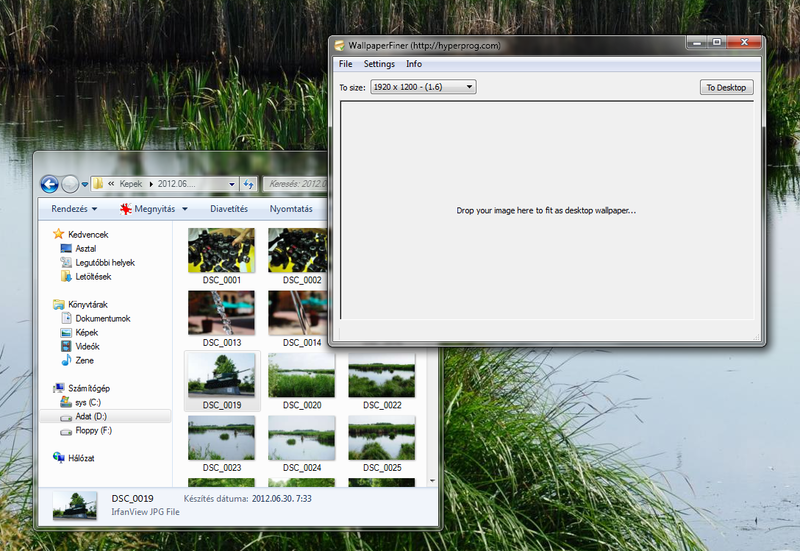 Usually our digital photos have different aspect ratio than our desktop. 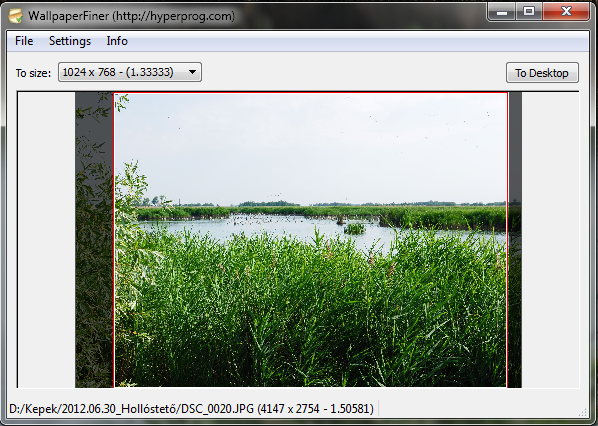 This utility detects the desktop resolution, and propose a perfect image crop to keep your image's aspect ratio. (It means that your dog won't looks like fatter than in real life) You can modify the cropped area by single mouse move. The program uses the Qt library, you have to install it before compile.